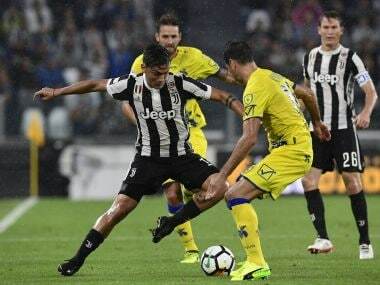 Milan: Paulo Dybala inspired Juventus to a 3-0 win over Chievo on Saturday to keep the Serie A titleholders unbeaten ahead of next week's Champions League opener at Barcelona. Three days ahead of their trip to the Camp Nou Massimiliano Allegri tested his troops after the international break which had deprived the champions of key players. But it was the performance of Dybala which drew ringing praise from Allegri after the Argentina striker came on after 50 minutes to seal a comfortable victory. 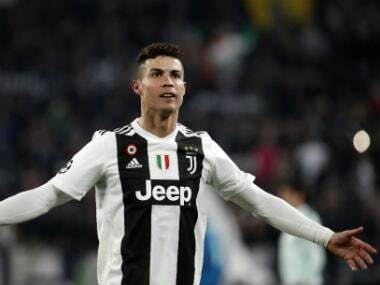 "He has everything to become one of the two best players in the world, with Neymar, when (Lionel) Messi and (Cristiano) Ronaldo stop," said Allegri. "He's progressing enormously, whether it be technically or physically." Giorgio Chiellini and Claudio Marchisio were out injured with Andrea Barzagli and Gianluigi Buffon rested by the Juventus coach. Allegri rotated his side giving first starts to Polish goalkeeper Wojciech Szczesny and midfielders Douglas Costa and Blaise Matuidi. But the hosts could thank Chievo for the first goal with Finnish midfielder Perparim Hetemaj accidentally nodding in the opener after 16 minutes in Turin. Bosnian midfielder Miralem Pjanic whipped in the free-kick from a tight angle, and it came off the unfortunate Hetemaj's head at the near post. The introduction of Dybala as a second-half substitute transformed Juventus and he assisted Gonzalo Higuain's second goal on 58 minutes. 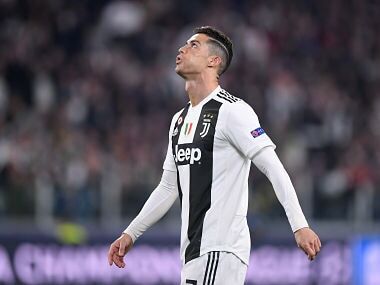 The Argentine then added the third himself seven minutes from time — his fifth goal this season in Serie A. 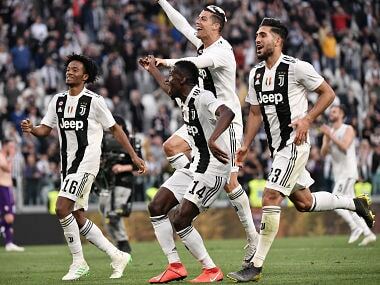 It secured a third win in as many games for Allegri's side and a maximum nine points in their bid for a seventh straight title. "The team was winning, there was space to play, and when the coach brought me on we had changed the strategy," said Dybala, who has scored in the first three games. "I was a bit tired from the trip (to Argentina on international duty) but I'm happy with the goal. This month is very important, we have a lot of respect for Barcelona and we will go there to perform." And Allegri is expecting more from the 23-year-old Dybala who has scored 49 goals and contributed 16 decisive passes in 98 matches since his arrival in Turin in 2015. "I'm happy for him, happy for what he did and I'm lucky to be his coach," Allegri said. Verona club Chievo suffered their second loss of the campaign. "Definitely Dybala's entrance brought freshness. Until Dybala came on Juve had no more chances than us," said coach Rolando Maran. "From 2-0 onwards it was all the more difficult for us." The champions could be joined on Sunday at the top of the table by AC Milan, Inter Milan and Napoli depending on weather conditions which forced the postponement of Saturday's game between Sampdoria and Roma in Genoa. AC Milan will play Lazio in Rome, Inter host promoted SPAL while Napoli play at Bologna.